Facebook activated its Safety Check service Tuesday for users living near Brussels after a series of terrorist attacks killed at least 34 people and wounded 200. Two explosions – one reportedly set off by a suicide bomber -- rocked the Belgian capital’s international airport, and a third detonated at a subway station. At least 14 people were killed at the airport, and 20 at the subway station, according to the New York Times. Approximately 100 were injured at each site. Belgium Prime Minister Charles Michel took to Twitter to ask people to “avoid all movement,” in case there were more attacks. Facebook's Safety Check tool was activated in the vicinity of the Brussels bombings. 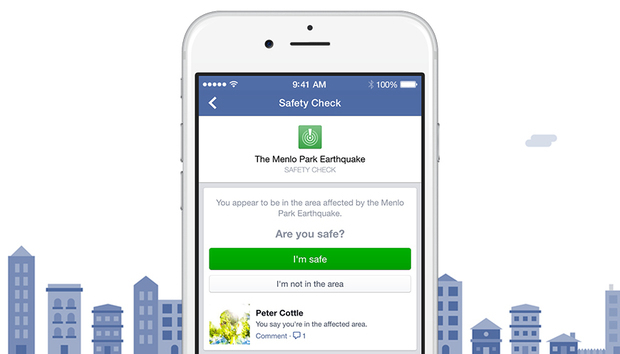 Facebook’s Safety Check tool, which officially rolled out in October 2014, enables users believed to be in the area of an emergency to click a button to let their Facebook friends know that they are safe. It also alerts users that they may have friends in the emergency area and if they have checked in safe or not. An early version of the service was used in 2011 during the earthquake and tsunami in Japan. Facebook also employed the feature last November after the Paris terror attacks that killed 130 people. Birmingham: Digital City of the Future? Are Bitcoins Likely to Penetrate East Africa?